Gorgeous cardd Pat, I love the pretty image and beautiful colours. Yep, I am still here and I do love all of your makes -always a joy. 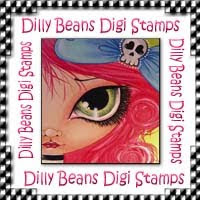 I love her images! This is beauitful, like how you did the layers and the colors are amazing! 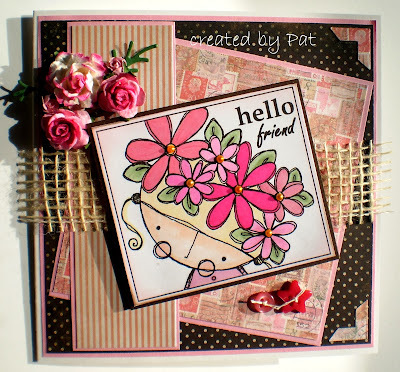 Another awesome creation Pat I really love your card designs and choice of papers and embellishments the image is perfect.